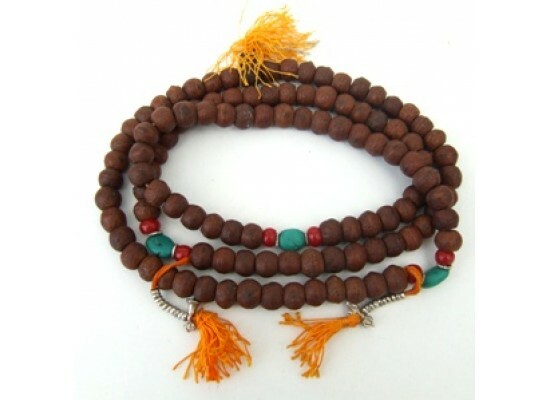 Large bodhi seed mala with turquoise and red coral effect beads, and white metal counters.12 mm beads. This is a large mala, which we believe offers excellent value. 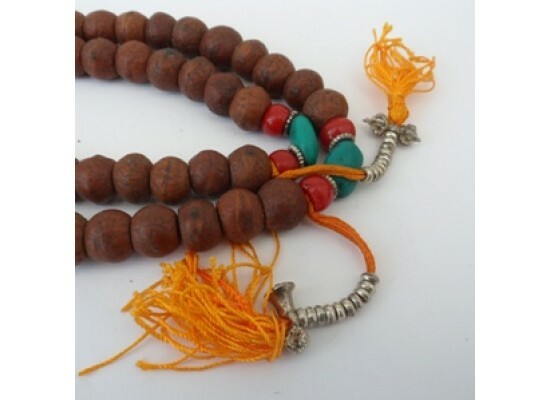 These malas are at least 15 years old - expect some oxidisation of the white metal elements.